This hall is used to store, among other things, blanks that are about to be processed. It goes without saying that the incoming goods are carefully checked beforehand. The hall was erected in 1999 as the start of series production meant that more areas were required that were protected from weather-related influences. 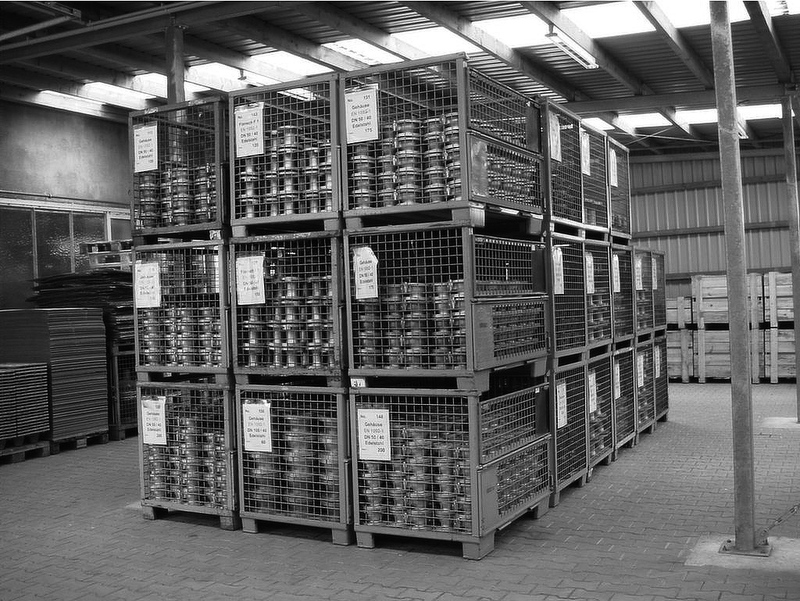 This picture shows a part of the warehouse for tested valves. In order to meet our high standards, we maintain a large stock of standard valves, which enables us to offer short delivery times. This makes us a reliable partner. 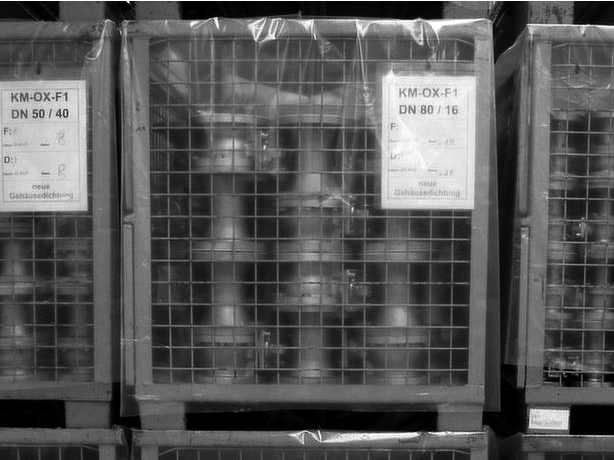 Until delivery, the ball valves are stored safely packed in these mesh boxes. The boxes are clearly marked and protected against dirt with foils. 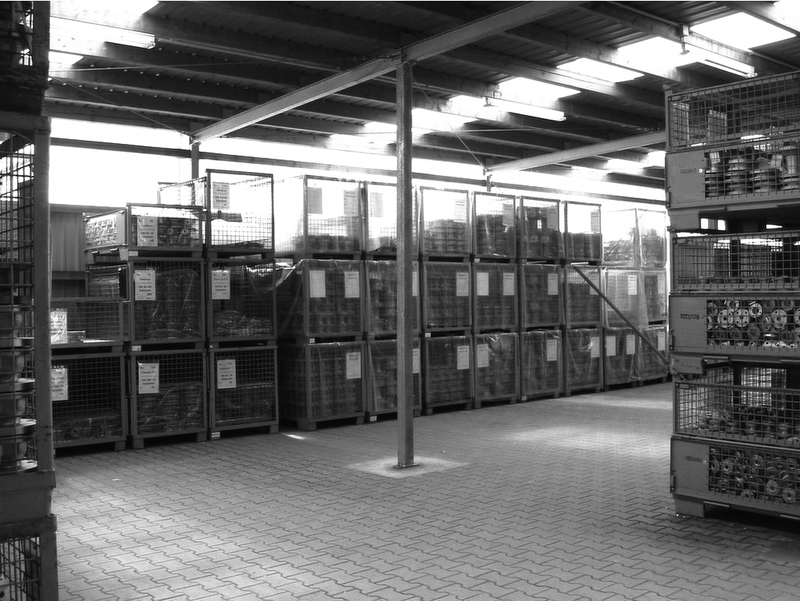 The placement of the mesh boxes is controlled by the QM representatives in such a way that rapid access is guaranteed when orders are processed. Kugelhahn Müller - Your Specialist for Ball Valves.